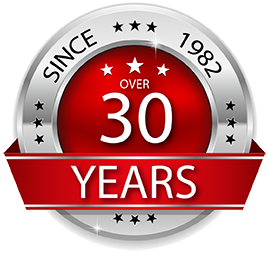 Dominion Paving & Sealing is a nationally recognized, full service asphalt and concrete maintenance and rehabilitation firm operating in the Northern Virginia and Washington – Metro areas. Dominion is now celebrating 35 years of quality service to the region and for the 15th year, we have been recognized as one of the Top 75 Pavement Contractors in the country. 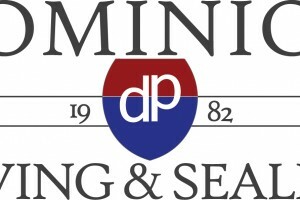 Dominion specializes in pavement maintenance, rehabilitation and management. We concentrate our production efforts on proven basics of asphalt and concrete construction, while investigating new pavement technologies through annual industry seminars and employee certification programs. Our goal is to provide efficient, economical and orderly solutions for pavement maintenance, using state of the art equipment and the knowledge, skill and diversity of our staff. Our most valuable resources are the experience, skill and diversity of our management and field personnel. We recognize the importance of high quality work and take pride in striving to reach high standards in the paving industry! Our primary concern is with existing pavements that show signs of deterioration either through years of use, neglect or poor original construction. This means not only repairing the problem, but determining the cause, making the correct evaluation, and recommending the correct procedures for curing the problem. The first contact someone has with your property is through your parking areas, whether having a smooth drive to your front door, or having a pleasant walk across the pavement to your office or home. The first impression of your community, office or business environment is critical and Dominion paving can provide the quality appearance you require! 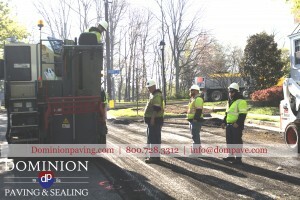 Our proven experience and attention to quality has made Dominion Paving & Sealing the obvious choice for property managers, facility directors, building owners and homeowner associations throughout our region. Our state certified project managers are ready to evaluate your property and provide solutions for any situation.